Serah Vogus and Celestina won the Walsh Products Mini Prix in 2014, pictured with Walsh VP Thea Treiber and daughter Lauren presenting. Photo by Chicago Equestrian. 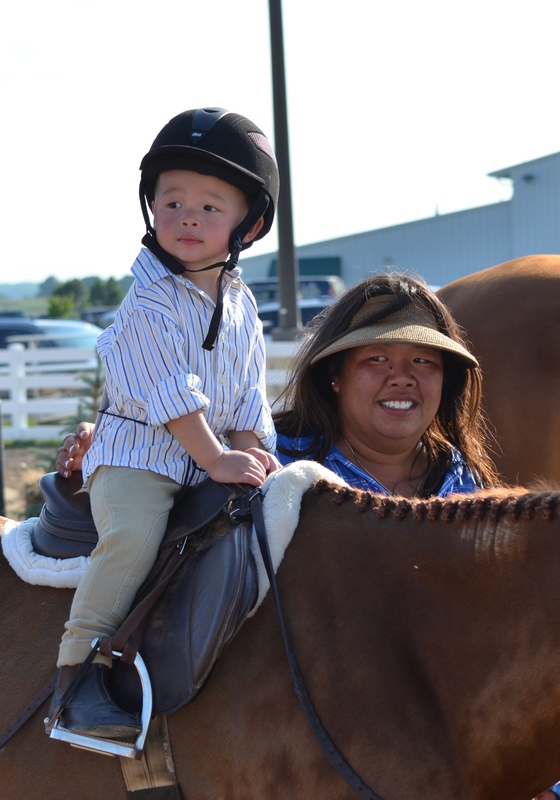 West Bend, WI – July 7, 2015 – Old Seoul Equestrian presents the Third Annual Wisconsin Equine Derby Weekend August 14-16, 2015 at the Washington County Fairgrounds in West Bend, WI. The event is praised by both exhibitors and spectators, for its quality competition, fantastic awards and generous hospitality. Friday, August 14th kicks off with an education day as clinicians Haylie Jayne-Rolfe and Maggie Jayne of Elgin, IL, teach riders the basics of derby riding. 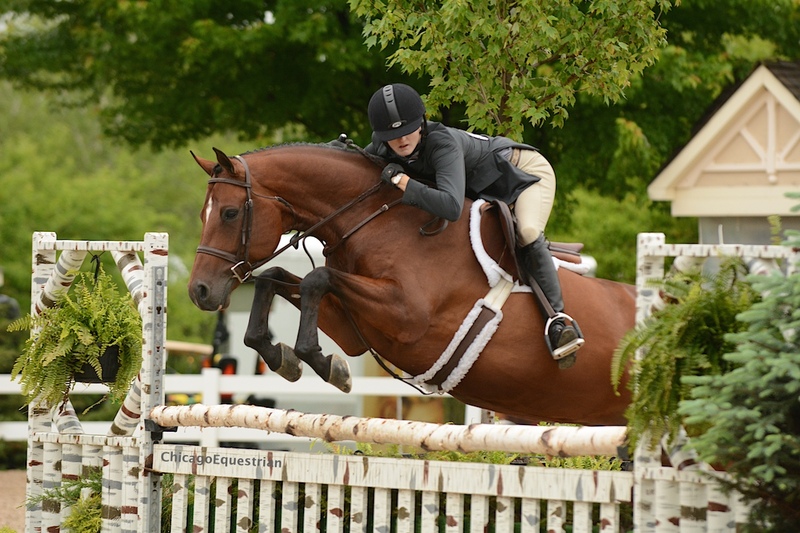 The accomplished siblings have an impressive resume, which includes numerous national wins and championships as riders in the hunter, jumper and equitation rings. Now both professionals, the sisters train and ride for the family business, Our Day Farm with stables in Elgin, IL and Wellington, FL. Their ability to ride and train riders in every ring makes their team training approach work. 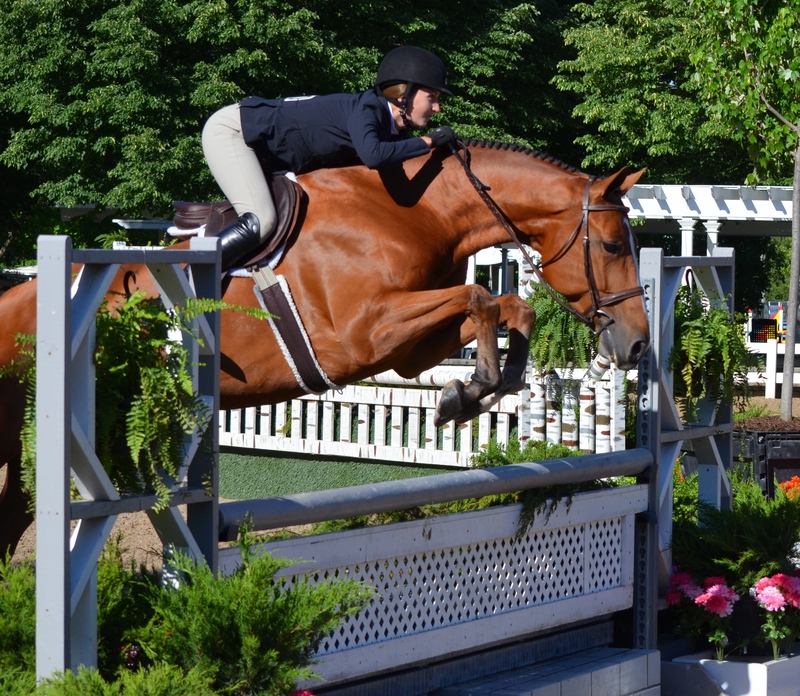 Maggie Jayne also has won numerous championships riding for Pony Lane Farm and the Thatcher Family, earning them the USEF Leading Hunter Owner Title from 2009- 2012. The Jayne family is also raising some of their own stock to train to more national championships in the future. Maggie Jayne and Pony Lane Farm's Bugsy Malone. Haylie Jayne-Rolfe and Pony Lane Farm's The Answer. Photo by Chicago Equestrian. After the clinic sessions, ChicagoEquestrian.com will sponsor the derby meeting and pizza party before the Cedar Creek Farm 4 Bar Challenge. The weekend continues on Saturday with the $500 Hall Saddlery 2’3” Hunter Derby, the $500 Le Cheval 2’6” Hunter Derby, the $1,000 Hope Memorial 2’9”-3’ Hunter Derby and the $1500 Purina 3’6” Hunter Derby. 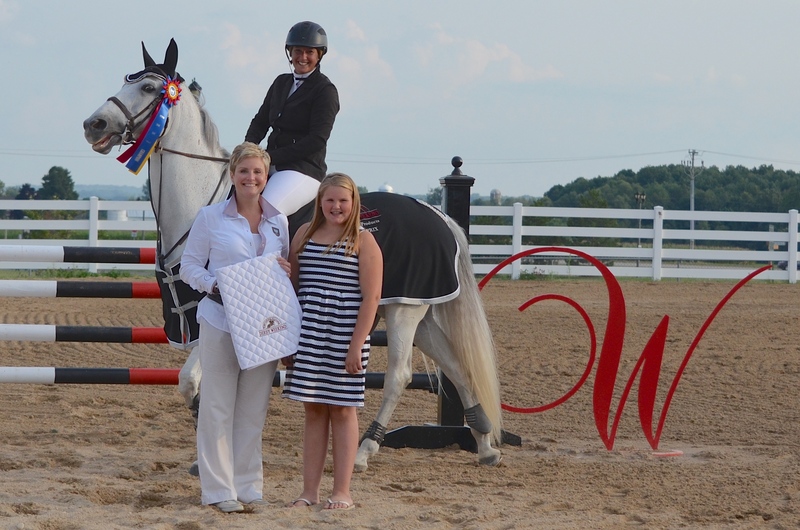 Saturday is capped off with the $2,500 Walsh Products Mini-Prix 4’ and an exhibitors party sponsored by Wisconsin Equine Clinic, who has been a supporter of the event since it’s inception. There is something for everyone including shopping and kid's activities. Photo: Chicago Equestrian. 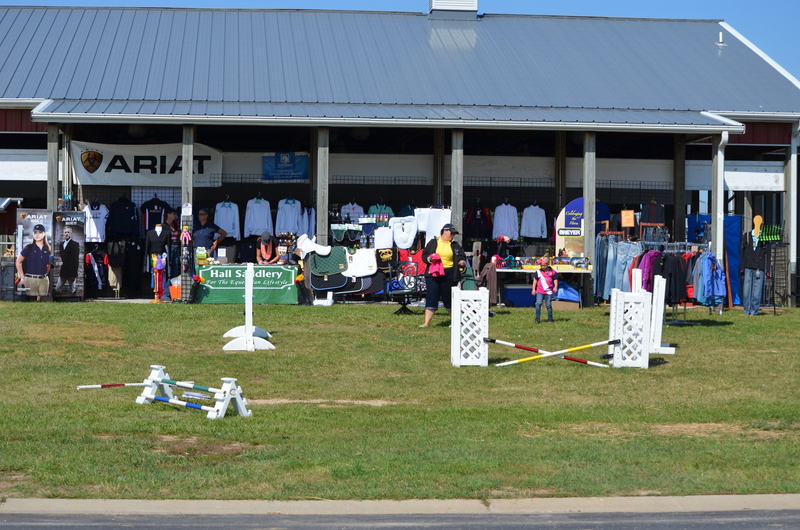 Sunday is Jumper Derby Day with the $1500 Blue Gate Farm 3’6” Jumper Derby, the $1000 Split Rail Stables 2’9” – 3’ Jumper Derby, the $500 North Haven Farm 2’6” Jumper Derby and the $500 Blue Ridge Farm 2’3” Jumper Derby. A wonderful brunch, sponsored by Gastrogard/Ulcergard and a Bloody Mary bar sponsored by Foremost Stables, will start everyone’s day off right. The event is not short on awards and extra prizes thanks to the numerous sponsors. The event is also a double point derby event for the Chicago Equestrian Derby Series. There’s something for everyone including shopping, food, demonstrations and presentations, kids jumps, a dog costume class, a parade of Champions and kid’s activities. Mark your calendars for this “don’t miss” event. Entries close August 3, 2015. For more information and the prize list, visit www.oldseoulequestrian.com.